Learning how to play the piano is a source of joy and a skill which can be drawn upon throughout a lifetime. Amadeus music school has a wealth of experience which is imparted through our all inclusive piano and keyboard lessons in Stoke-on-Trent. These lessons cover all piano learning basics, such as correct posture, note reading, and rhythm exercises including metronome work, dynamic control and pedalling, to name just a few. With our tailored lessons and step-by-step approach and effective practice techniques, you will find learning a very natural experience. 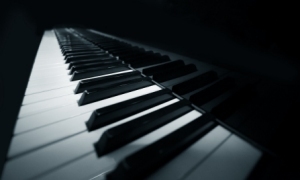 Our piano and keyboard lessons also include other stimulating skills like chord recognition and improvisation. We can also teach you how to work in differing styles from classical and jazz to contemporary and popular music.